The $700 billion U.S. bailout program launched in response to the global economic meltdown had a far greater impact overseas than other countries’ financial rescue plans did on the U.S., according to a new report from a congressional watchdog. 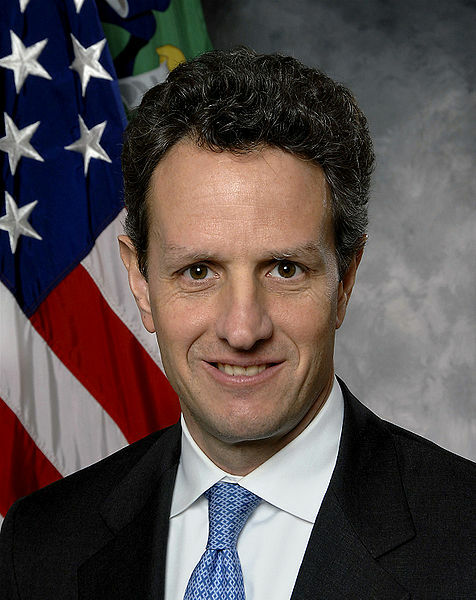 Apparently, tax cheat and US Treasury Secretary Timothy Geithner has caused billions of dollars in U.S. rescue funds (TARP) to wind up in big banks in France, Germany and other nations. Whereas Geithner failed to keep the TARP funds from foreigners, most of our foreign friens cleverly focused their efforts on banks in their nations that lacked major U.S. operations. Major French and German banks were among the biggest beneficiaries of the U.S. rescue of American International Group Inc. (AIG). Much of the $182 billion in federal aid to AIG flowed through to its partners, including French banks Societe Generale, which received $11.9 billion in AIG money, and BNP Paribas, which got $4.9 billion, and Germany’s Deutsche Bank, $11.8 billion. That’s a $28 billion gift of America’s funds from Timothy Geithner to the three European banks. In all 43 foreign banks benefited the AID bonanza including also banks in Canada, Britain and Switzerland. Geithner’s TARP funds wound up injecting capital into around 700 banks, while foreign governments combined aided fewer than 50. Unlike Geithner, foreign governments watched where their funds were going. In addition to AIG, many of the U.S. banks and automakers that received billions in bailout aid passed through a large proportion of their TARP funds to operations outside the U.S., especially in Japan and Europe. But was Geithner really negligent? Maybe there will be a cushy job waiting for him after he leaves the U.S. Treasury Department.